Our BID Ambassadors were on Putney High Street to offer support to spectators and businesses during Ride London on Sunday 29th July. 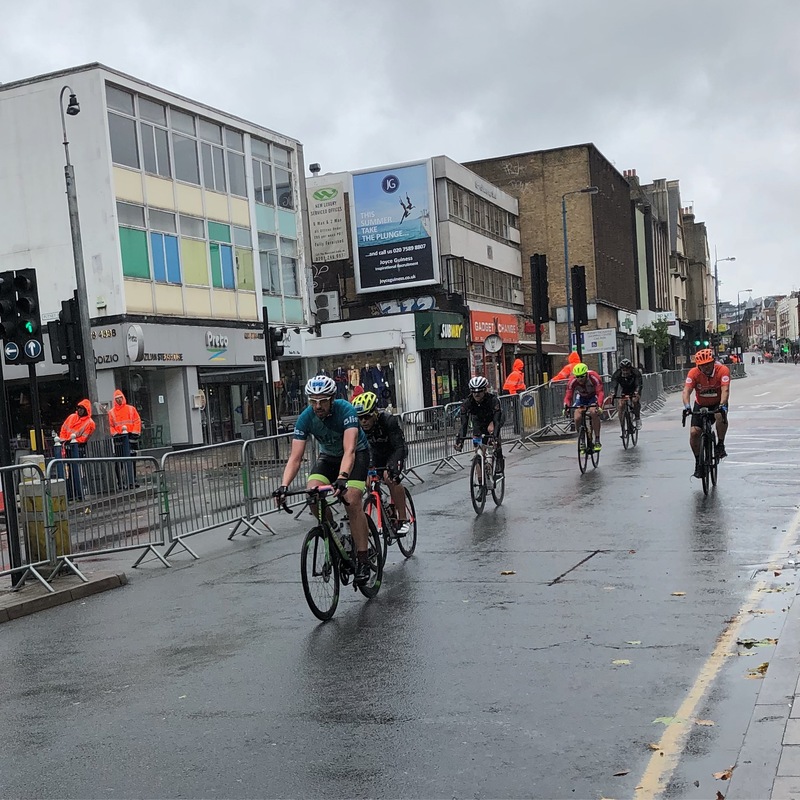 The rain and wind clearly put off the spectators as we did not see the large crowds as previous years to cheer on the cyclists. However, those that came certainly made themselves heard. 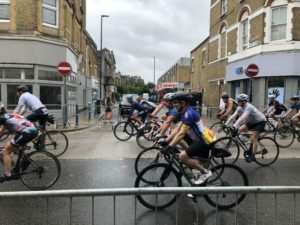 Various charities were on Putney High Street giving their riders much needed encouragement in the final stages of the ride. A big congratulations to the 22,142 cyclists including club riders, celebrities and amateurs who completed the ride in the pouring rain. Unsurprisingly, the air quality measured on the Ride London day is much improved. 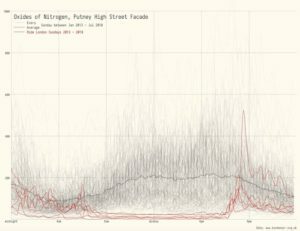 Thanks to @jwolondon we have this interesting chart showing the oxides of Nitrogen on Putney High Street comparing a normal day with the Ride London day over the last six years. It is below the normal levels all day apart from a big peak at 8pm which we assume must be a diesel lorry collecting the barriers after the event. To fill the day the BID Ambassadors spent much of their time taking down 106 funfair illegal advertisements from along Putney High Street.